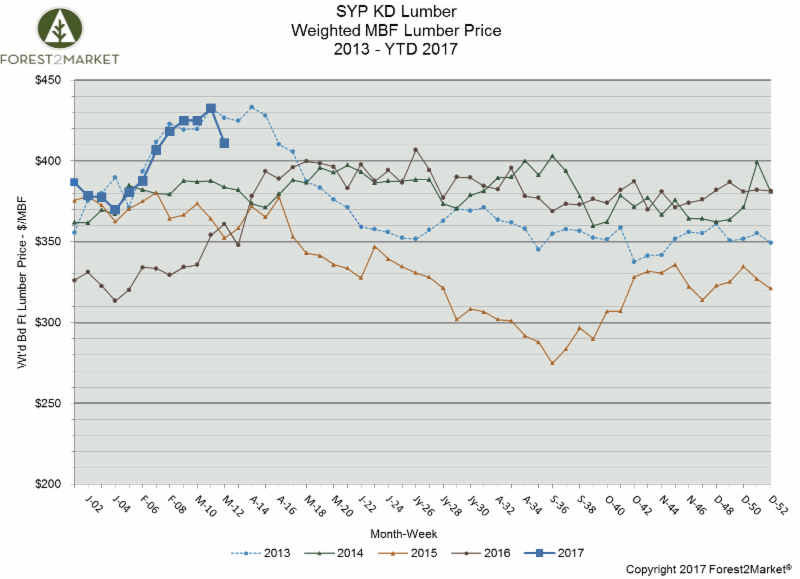 The composite southern yellow pine lumber price continued its upward surge through most of March (there are still two weeks of prices to report). The price increase is reflective of the larger market optimism, as well as the generally mild winter weather many regions have experienced this year. 1Q is also the traditional period for inventory building, which applies pressure to supply and drives prices higher. Forest2Market, Inc., a global provider of data solutions for the forest products industry, announced today the launch of its newly-redesigned Finnish, Swedish and Russian websites. These refreshed sites incorporate improved navigation, easy access to essential information, as well as features that offer a more comprehensive understanding of the company's capabilities and an improved user experience. 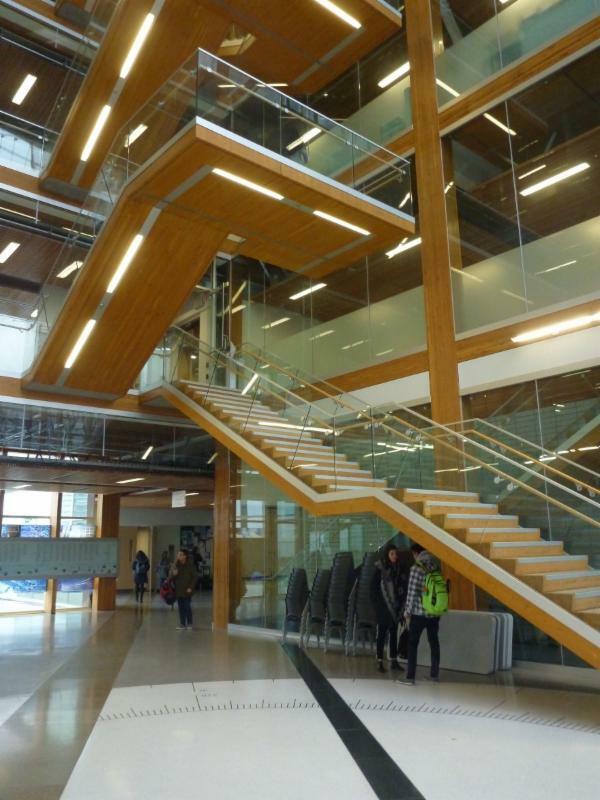 When the Mountain Pine Beetle arrived in British Columbia (BC) in the early 1990s, no one knew what the full effects of the infestation would be or how long it might take these effects to materialize. 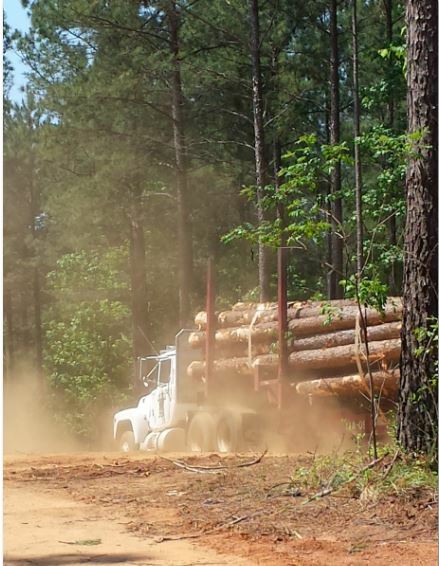 Over the course of the last several years, however, the effects on forest products industries have started to take shape. And the news is concerning. The Mountain Pine Beetle infestation has led annual allowable cut (AAC) reductions, and this in turn has led the Forest Analysis & Inventory Branch of the Ministry of Forests to forecast a drop in timber supply of 25 percent over the next twenty years, from 76.71 million cubic metres in 2016 to 56.91 cubic metres in 2035. 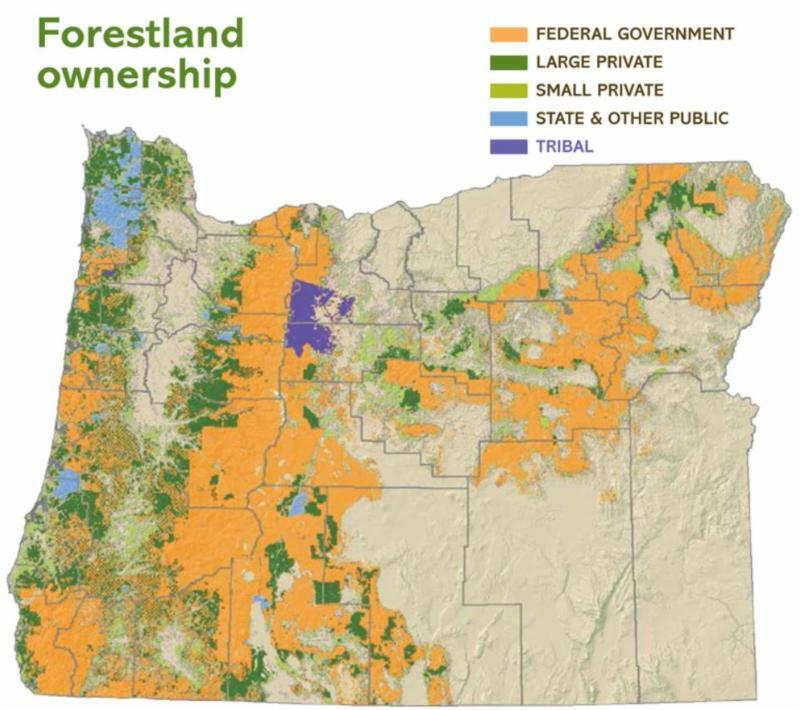 A new report from the Oregon Forest Resources Institute provides a detailed look into the current state of Oregon's forests, its forest products industry and much more. The report, Oregon Forest Facts, tells the story of Oregon’s forests via quality data, charts and graphs, and it provides an attractive, accessible snapshot of up-to-date information about the state's forests. The full report is available for download, and the site touches on some of the high-level data that members of the forest industry and the larger public will both find interesting. Per a December 2016 industry report published by Denmark-based Danske Bank in its Skog & Ekonomi newsletter, Sweden’s softwood lumber output is expected to fall by an estimated 450,000 m³ per year in 2016/2017. 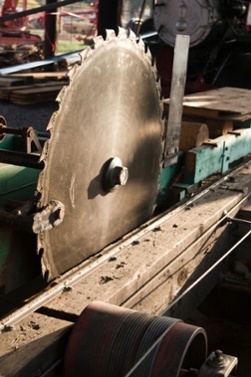 The report noted that three recent sawmill closures and other capacity reductions announced by Swedish forest products manufacturer Södra will alone account for a 325,000 m³ decline in output per year. There have been scores of other regional mill closures and consolidations over the last few years that will affect softwood lumber output in 2017. As we noted last month in our coverage of the Resolute Forest Products legal battle against Greenpeace, “The sense of relativism that is driving the ideological schism in the Western world has reached such a level that one must question whether objectivity actually exists anymore.” One month later and, when forced to account for its past behavior, Greenpeace has further proven the point that everything—including the definition of words—is now relative. In a display on par with Bill Clinton’s now infamous “meaning of is” moment, Greenpeace is once again upping the relativism ante. Total industrial production (IP) decreased 0.3 percent in January (unchanged on a YoY basis), thanks to unseasonably warm weather contributing to a 5.7 percent drop in utilities. Total IP peaked in November 2014, just one percentage point higher than its pre-recession peak in November 2007. Moreover, it contracted MoM during 16 of the last 25 months. There are some hints IP may be on the cusp of a turn-around, however. 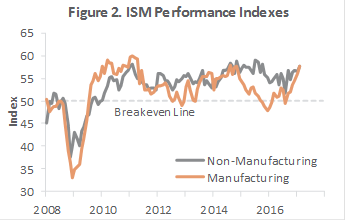 Manufacturing output (which accounts for nearly 80 percent of total IP) moved up 0.2 percent (+0.5 percent YoY) in January—the fifth consecutive MoM gain; mining output jumped 2.8 percent. 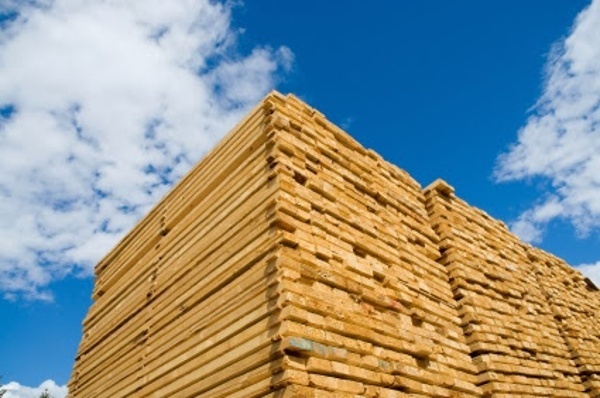 On the heels of our recent coverage of the hurdles wood building materials are facing in parts of Florida, the Senate and House recently reintroduced the “Timber Innovation Act” (initially introduced in 2016) in an effort to spur economic development through the construction of tall buildings constructed of mass timber and other wood-engineered products. 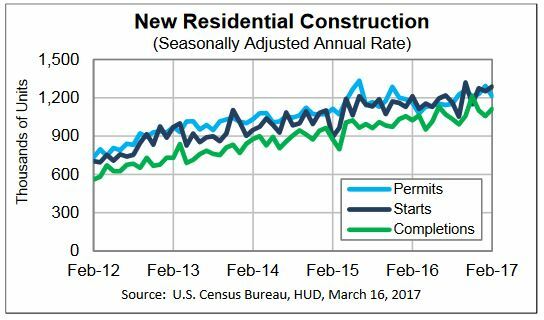 US housing starts increased in February as unseasonably warm weather allowed for the construction of new single-family houses, which suggests that the economy is on solid (if cautious) footing. The general sense of economic optimism is evident in other recently-released data, which shows a drop in the number of Americans filing new applications for unemployment benefits—a sign of a tightening labor market. This positive data came a day after the Federal Reserve raised interest rates for just the third time since the Great Recession of 2008. 46,065,813. That’s right; over 46 million. That’s the number of individual transactions Forest2Market added to its databases in 2016 alone. That’s a whole lot of numbers, and a whole lot of data to keep track of. Have you ever wondered about the intricate processes that actually make Forest2Market datasets so unique? 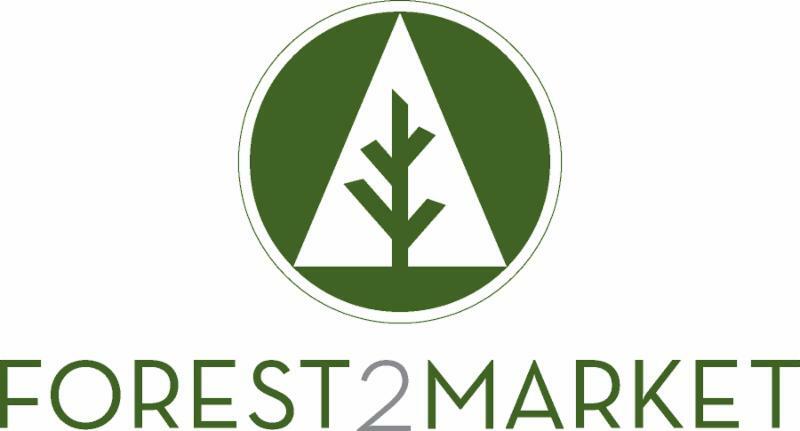 Forest2Market, Inc. is the owner of the report contained in this computer file. U.S. copyright laws and international copyright agreements protect this report. 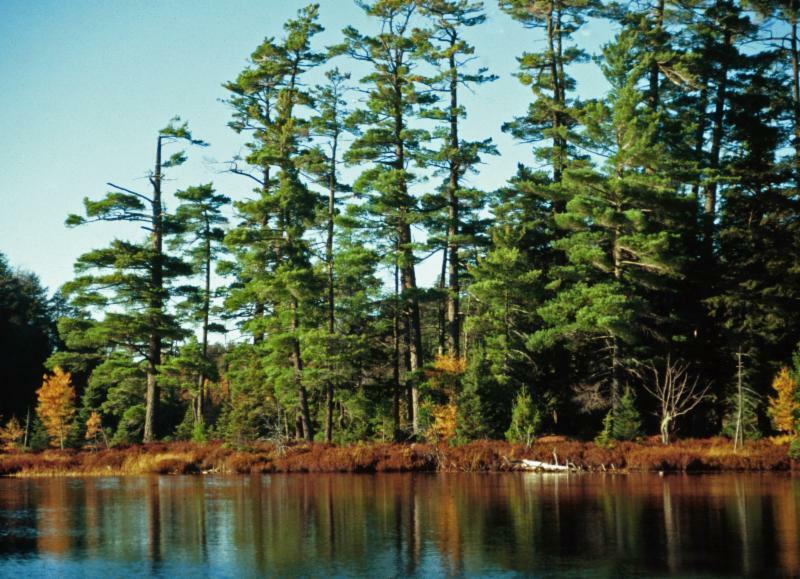 All Forest2Market publications, including price guides and market reports, are the property of Forest2Market and contain copyrighted material and proprietary information. Copying or re-transmission of this report or any part of this report, except as is allowed by law, is prohibited. You may not re-transmit or send this report or any portion of this report to any other location within or outside of your company, school or organization without prior written permission from Forest2Market.